Spray it on us! Or more accurately, we should say mist it on, because the Saturday Skin Daily Dew has such a lovely, fine, even mist. So refreshing yet hydrating and absolutely no scent at all. Spritz it on and it quickly evaporates, leaving your skin soft and moisturized. A multipurpose product, you can use it after cleaning your face to prime it; after putting on your makeup to set it; after a tough workout to help cool down; or in the middle of day when your skin feels a bit dry. Described as an essence mist, the formulation contains concentrated extracts of kiwi, grape, peach, strawberry, lemon, and orange. Sounds like a delicious fruit salad, but actually this combination of ingredients is full of anti-oxidants and vitamins to keep your skin hydrated, healthy, and nourished. 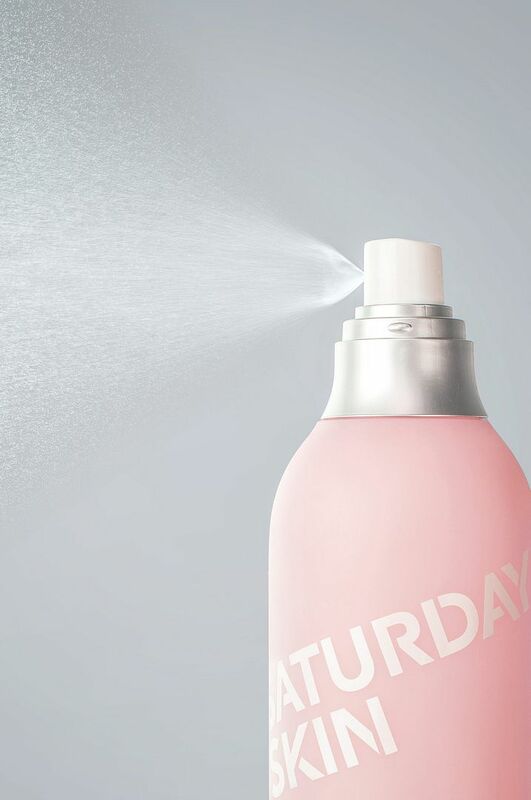 Get your weekend in a bottle with the Saturday Skin Daily Dew!